Introductory speeches also had Mr.Miodrag Radovic, Acting Director of the Directorate for European Integration and Plamena Halaceva, head of the Department of Political Affairs at the EU Delegation to Montenegro. 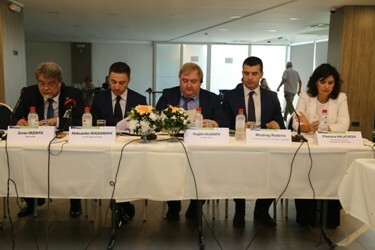 In the context of discussion on solid waste management at the local level, Ms.Daliborka Pejovic, State Secretary of the Ministry of Sustainable Development and Tourism, pointed out that a healthy environment has become a priority for the management of local governments in Montenegro, as a key factor for ensuring the quality of life of citizens. She pointed out that the requirements of Chapter on Environment especially moderate to solve the problem of landfills at the local level. She also called on the EU representatives to consider carefully the issue of the environment for each country individually, taking into account the specificities of each of them, although environmental problems must be addressed at the regional level. Co-Chairman Mr.McGrath stressed the need of joint action of all cities and municipalities in Europe to ensure preventive action to reduce waste production. To answer this challenge, cities and municipalities must receive adequate support from the EU funds. 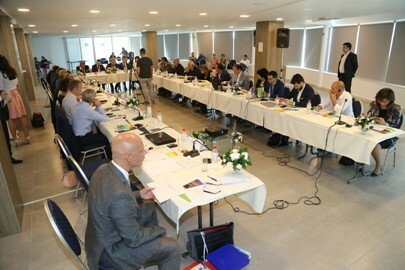 The JCC members have presented examples of good practice in addressing the challenges in the environmental field as well as examples of the energy efficiency measures in public buildings and in the housing sector, which are followed by a discussion. During the meeting presentation had Mr.Borivoje Bonic, President of the Association of municipal enterprises of Montenegro, Mr.Srdjan Mugosa, Director of Climate Change and Ms.Lazarela Kalezic, assistant Secretary for spatial planning and environment of the Capital city of Podgorica. Active participation in the meeting they had and the JCC members from the Montenegrin side Mr.Veselin Grbovic, Mayor of the Municipality of Niksic and Mr.Mirko Đacic, Mayor of the Municipality of Pljevlja. The next meeting of the JCC will be held in spring 2016.